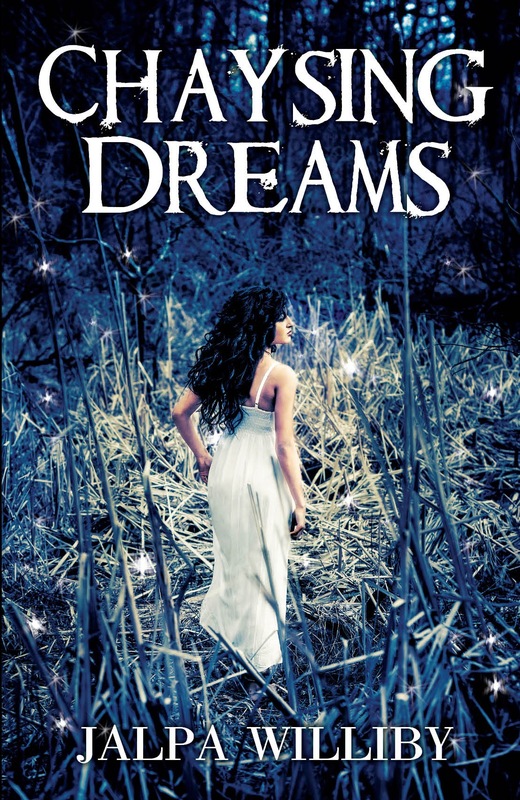 Five Star Reviews on Chaysing Dreams! Hello everybody! Check out some great reviews about Chaysing Dreams. Reviews are posted by readers on the goodreads and the Amazon site! I’m so excited, yet humbled, that it’s been receiving five star reviews! So glad people are loving the story, and the characters! Thank you! It truly means a lot! “When I read the Chaysing Dreams ARC, I read it straight through the day and night, from 9AM til 3AM I didnt want to stop reading even to go to the bathroom. After I finished it, I was dying for the sequel. DYING!!!! My heart was racing the whole time I was reading it and I simply couldn’t put it down. I believe Jalpa Williby has masterfully written this book and has you wanting more. Every chapter ends with almost a cliffhanger feeling. It compels you to keep reading. It physically traps you into the book so that you just can’t put it down. The house could have been on fire and I doubt I would have noticed. From the start of the book I was immediately intrigued by Tessnia as she encounters her life from a young girl to a woman. I was immendiately pulled into Tessnia life and her adventure. The story is full of anxious uncertainty about what may happen. I right away adored her best friends and family. There is also a male character in this book that is strong, mysterious, handsome and has so many other features that your captivated by his character as well. At many points in the book I literally sat up in bed and shouted “Oh NO! I can’t believe they are doing this to them!! !” Yes I was talking to my book. “Chaysing Dreams is a story about a girl named Tess who is your average girl with beyond ordinary gifts. The story takes you from Tess’s younger years in high school through her college years. The author does a wonderful job of integrating normal high school teenage years with a story that is not so ordinary. You meet her parents and aunt-instantly becoming a part of their family. You are drawn to Kylie, Tess’s best friend, who is her exact opposite, with her witty personality and out going ways. You find yourself wondering about Jack, her other best friend, who is there for Tess from the beginning till the end. You try to imagine his good looks, sweet personality, and wonder if guys like that really exist! You become curious about Tess’s encounters with Joe and Chris and try to imagine their eyes, face, voice, and charming personalities that are described so adequately throughout the pages. And finally, you fall in love with Tess, as you see her growing up and facing real life challenges, while trying to find answers to all of her questions. As a reader, you are quickly drawn to Tess, and find yourself rooting for her through each page of the book! There is a little bit for everyone in this story; the romantic, the tough guy, the young girl next door, the young boy next door, moms/dads, pet lovers, the mentor, and the athlete. Tess Sanoby is a 16 year old girl that keeps having the same nightmares, where a girl is being chased. Tess doesn’t know who she is because she can never see her face, she just knows she is terrified and trying to run for her life. Is it her? Tess is a very smart and athletic and has a wonderful relationship with her parents and two amazing best friends in the world Kylie and Jack. I love that Tess volunteers at The Angels, she meets a handsome guy there named Joe and they have this great connection and he is singing You Are Beautiful. I love that we get to see Tess grow up from graduating high school then going to college. You see Tess go through real life struggles and it’s horrible to see people in that situation. “‘Chaysing Dreams’ by Jalpa Williby is a fantastic debut novel. It combines romance, adventure, a coming-of-age tale and a touch of science fiction into one well-written and engaging package. The book tells the story of Tessnia, a smart, athletic and accomplished high school student. She gets straight A’s, stars on the basketball team and the track team and volunteers at a facility for handicapped children in her free time. She’s looking forward to college and eventually following in her parents’ footsteps and becoming a doctor. It looks like her life is set on a straight path. But there are hints that all is not as it seems. She has strange, recurring dreams. An encounter with a charismatic older man while volunteering throws Tess off balance when she’s powerfully and unexplainably drawn to him. The same feelings pop up again in college, when she meets the assistant trainer on the school’s track team. At the same time, there are signs that Tess herself isn’t exactly what she seems – questions her parents don’t quite answer, things that her new assistant trainer says, the behavior of the pet dog Tess is given as a graduation gift, among others. The author skillfully brings everything together in a conclusion that’s satisfying but also sets up very nicely for a sequel. The characters, especially Tess, are well-drawn and believable. The book is told in the first person, from Tess’ point of view, and her voice is likeable and engaging. Tess is relatable, as she goes through all the ups and downs readers would expect of a young woman coming into adulthood. The supporting characters, including Tess’ best friend Kylie, her parents, and the mysterious trainer Chris, are equally well-handled, and I was left wanting more. Posted on August 24, 2013, in Uncategorized. Bookmark the permalink. Leave a comment.